The sixth thing I learned is that nationalism is the second deadliest political ideology of the 20th century after communism. The late political scientist RJ Rummelestimated the number of people killed by different governments over time. Communist governments killed about 150 million people in his estimation. Nationalists killed about 92 million. Those 92 million include those killed by the Chinese Nationalists, Japanese Nationalists, Turkish Nationalists, and by the European Nationalists in the colonial era. I excluded slaughters committed by pre-communist Russians, Mexicans, and Pakistanis, as they were less outwardly nationalistic than the other regimes. American conservatives and libertarians frequently, loudly, and rightly criticize Communists for their ideology’s legacy of slaughter. It’s time we all start criticizing nationalists for their ideology’s not-as-bad-but-still-evil legacy of brutality. 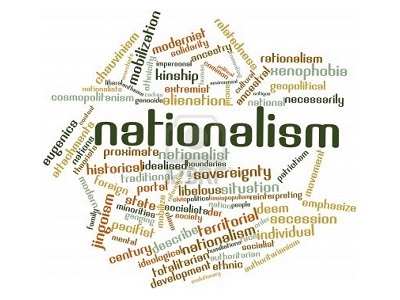 Some nationalists, like Thierry Baudet, are seeking to redefine nationalism is nonsensical ways such as claiming that nationalists can’t be imperialists which, if true, would mean that the age of European nationalism could not have begun until about 1997, when decolonization was largely complete. Regardless, the brutal humanitarian legacy of nationalist governments is something that serious nationalist thinkers must grapple with, rather than attempting to change definitions as communists do when they claim that the Soviet Union wasn’t really communist in an attempt to excuse its crimes.